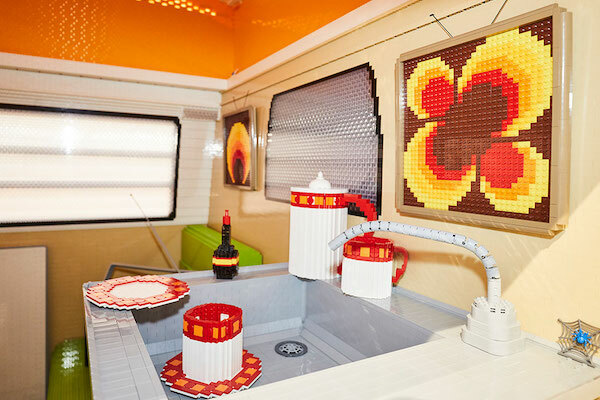 Despite hitting a delay caused by a Lego brick shortage, a dozen or so builders put the model together in just six weeks. 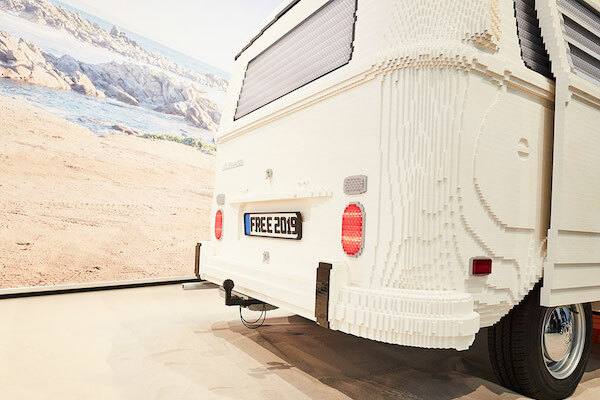 Lego has built a full-size replica of a Volkswagen Type 2 Camper Van out of its own interlocking plastic bricks. 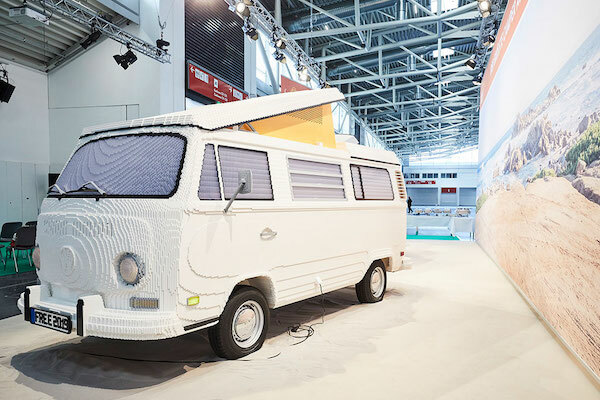 Built for the f.re.e outdoors trade show in Munich, Germany, the model was designed by one of just a dozen Lego-certified modelers worldwide, one Rene Hoffmeister. 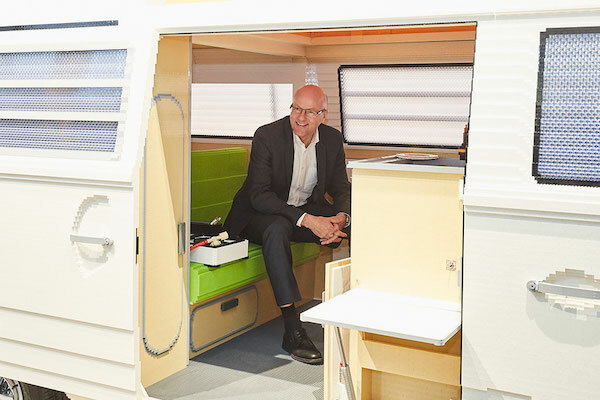 He and his colleague Pascal Lenhard converted a digital model of a Volkswagen Type 2 into a full-scale blueprint, which determined the exact number of pieces needed, and even accommodated a metal frame to reinforce the model's walls and roof. Plans complete, Hoffmeister, Lenhard, and about a dozen f.re.e employees set to work constructing the model, with about six weeks to complete the 400,000-piece Volkswagen. This makes it a more arduous build than even the full-size Lego Chevrolet Silverado, which took over 2,000 hours to build with a larger team and fewer pieces. Despite making quick progress, the build came to a standstill when it came time to do the windows—20,000 transparent pieces meant for use in the windows were missing. These pieces eventually arrived, but valuable time had been lost, and the build team had to make it up with night and weekend shifts with which The Drive sympathizes (we aren't unfamiliar with laborious Lego builds). Nevertheless, the extra hard work meant that the model was completed on time for display at f.re.e, which kicks off Wednesday. Show-goers who wish to see the 700-kilogram (1,543-pound) model with its functional sliding door and complete interior can do so in hall C5, booth 103, where the model will be displayed from Feb. 20-24.